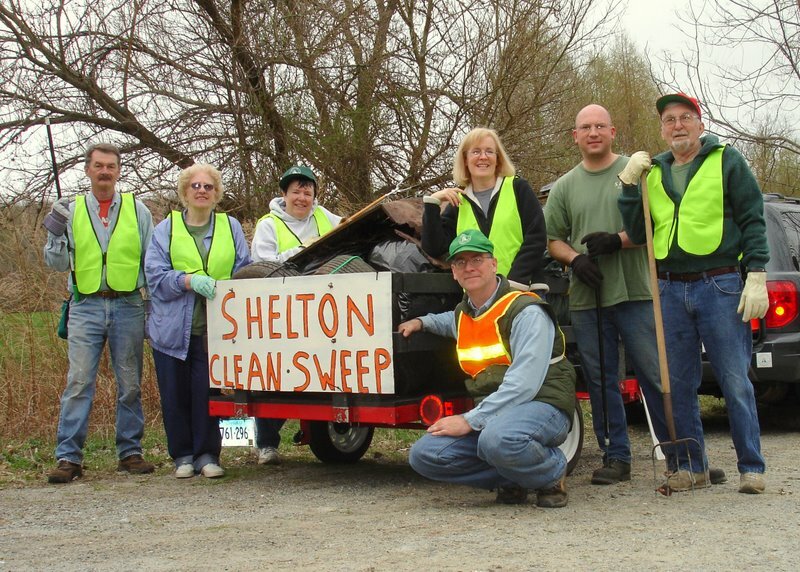 For our 7th annual Shelton Clean Sweep yielded another great turnout. Please keep in mind that these are just the cleanups we know about, and these do not include our many Adopt-a-Street participants. Also, many people cleaned up litter without reporting it to us. For everyone involved: THANK YOU. Boy Scout Troop 28 - "Volunteer of the Year" - Civic Group category for organizing four separate major cleanups on Shelton Open Space properties, including three locations in the Shelton Lakes Greenway and a clean-up of the relatively new Mohegan Street open space. Tighe & Bond - "Volunteer of the Year" - Business category, for joining forces with the Shelton Land Trust to remove a large pile of garbage from new Land Trust property along the headwaters of Ivy Brook. George Waters - "Volunteer of the Year" - Individual category, for tirelessly cleaning up the banks of the Housatonic River by canoe and kayak year round and cleaning up around the Shelton Canal. We would like to give special recognition to the Housatonic River Cleanup, Inc. , whose efforts resulted in an incredible pile of garbage taken from the shores of the Housatonic River, filling two 30-yard rolloff containers at Sunnyside Boat Launch. Boy Scout Troop 19 for removing 6 big bags and other items from the Land Trust's Nicholdale Farm property. Rainey Martovich & Alisha Prouse for removing tires, scrap metal, and 4 bags of litter from Huntington Road. Girl Scout Troop 60278 for removing 4 bags of litter from Long Hill School. Ellen Cramp for filling up 2 large bags along Coram Road. Sharon Romano for picking up 8 bags of litter along Kneen Street (Sharon Romano and Nancy Dickal have since officially adopted Kneen Street). Cub Scout Pack 28, who removed 12 bags of litter from the Nike site. The Stusalitus Family for picking up 6 bags of garbage from the Canfield Drive open space. Girl Scout Troops 60778 & 60443 for removing 5 large bags of trash from Elizabeth Shelton School. Cub Scout Pack 27, who collected 11 large bags of trash, 1 table, a snowtube, 2 bats, 2 tires, 1 car axle, and a rusty soccer net from East Village Park. The MOMS Club of Huntington for removing 5 large bags of litter from Mohegan School. The Farmill River Association for cleaning up 12 bags of litter and some tires along Beard-Sawmill Road. Teresa and Emma Gallagher for removing 9 bags of litter from Mill Street and Judson Street. Ron and Preston for removing 10 bags of trash from Mill Street. Frontier Girls #249 for cleaning up the trails at Shelton Lakes. 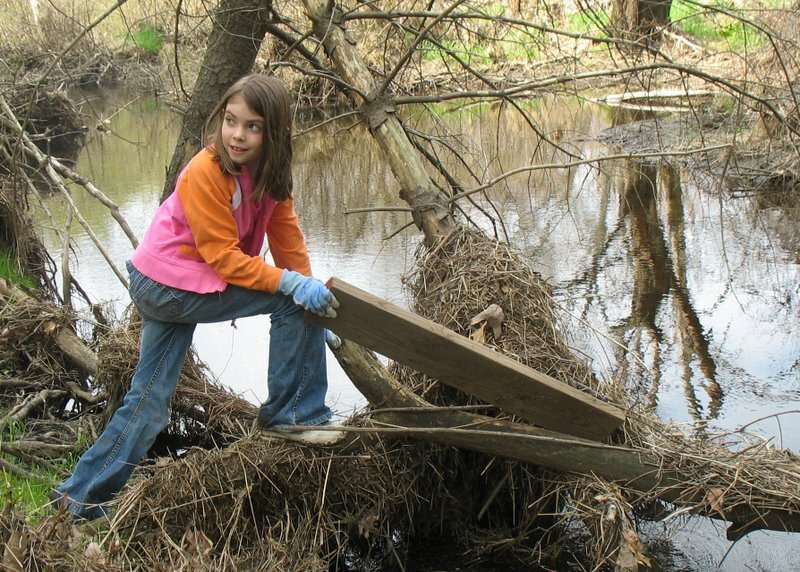 Girl Scout Troop 58 for cleaning up the Rec Path. Boy Scout Troop 55 for removing 8 bags of litter from the High School grounds. Cub Scout Pack 20 for filling up 20 large bags from Sunnyside School. Cub Scout Pack 28 removed over 12 bags of litter plus a TV, signs, a tire, 2 mailboxes, and some carpet from the Nike site. Cub Scout Pack 24 removed 2 large bags of litter from the woods and trails at Booth Hill School. Girl Scout Brownie Troop 60290 removed 2.5 bags of trash from the Riverview Park playground. Girl Scout Troop 60062 picked up 6 large bags of litter from Mill Street. Cub Scout Pack 28, Den 7 cleared 10 bags of trash out of the Nike site. The Hubbell Team cleaned up 6 large bags of trash from East Village Park. Elida Paiz removed a total of 19 bags of litter from three sites: The Far Mill River, Constitution Blvd South, and the Canfield Drive Open Space.